This is the best coffee cake I have ever had. I converted the recipe from the King Arthur Flour website. The cake is moist and soft with a lovely thin middle layer of cinnamon and a delicious streusel topping. Everyone loved it and took seconds. The butter and sour cream give this golden cake its superb rich flavor, so be sure to use the best quality you can find (do not skimp here). 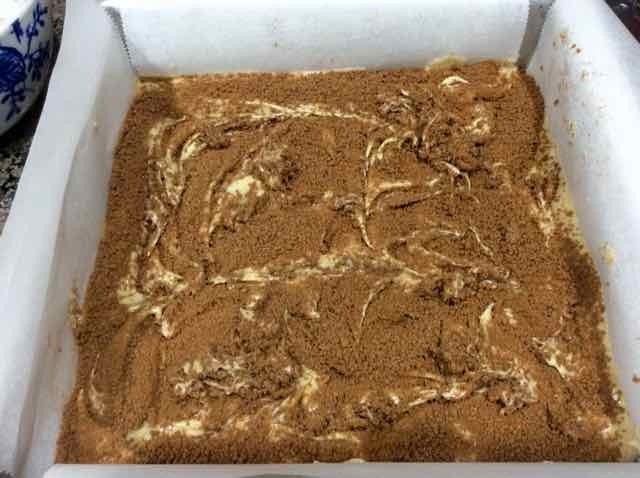 The original recipe states that you can prepare the cake and refrigerate the RAW cake (covered in plastic wrap) overnight and bake it the next day. I did not try this yet. The baked gf cake stayed fresh and moist for 3 days at room temperature. You might well ask how it lasted three days if it was so good, so let me explain. The first cake went so fast that I had to bake a second to have enough for expected guests. I froze some pieces and later let them thaw at room temperature for a half an hour before eating. The frozen and thawed cake tasted just as good as the fresh baked cake. 1 cup + 2 Tbs. 1) Preheat oven to 375℉. Prepare a 9 x 9” square baking pan by lining it with parchment paper. (You can also use a 9” round pan and line the bottom with parchment paper.) If you do not have parchment paper just grease the pan. 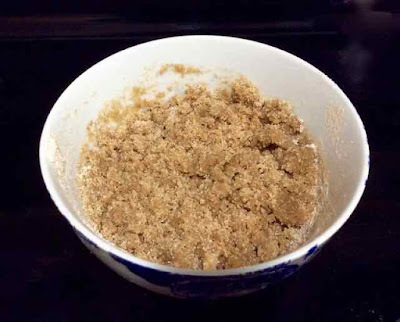 2) Make the Streusel Topping by mixing together the sugar, salt, flours and cinnamon. Add the melted butter and stir until well combined. Set aside. 3) Make the filling by adding all of the ingredients and mixing together well. Set aside. 4) Then make the cake. 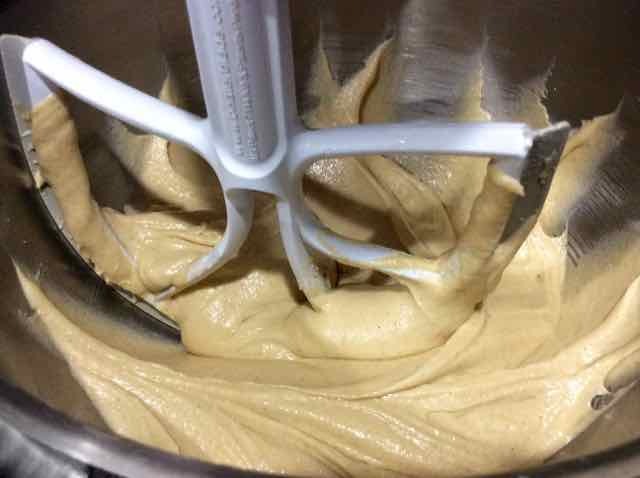 In a large bowl or the bowl of a stand mixer add the butter, salt, sugars, baking powder and vanilla. Beat together until well combined and smooth. 5) Add the eggs, one at a time, beating well after each addition. 6) In a separate bowl mix the flours and xanthan gum and set aside. milk mixture on the left. 7) In a separate bowl mix the milk and sour cream and set aside. 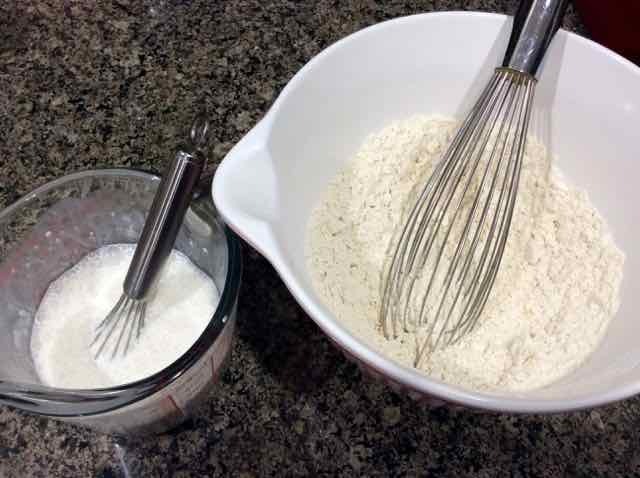 8) Add half of the flour mixture and beat well, then add half of the milk mixture and blend in well. Repeat with the remaining flour and milk mixtures. Mix until smooth. Batter all mixed and smooth. 9) Pour half of the batter into the prepared pan. Half the batter in the parchment lined pan. 10)Sprinkle the filling gently over the batter. Using a knife swirl the filling through the batter. Filling sprinkled over the top of half of the batter and swirled with a knife. 11)Top with the remaining batter. 12)Sprinkle the topping over the top of the batter. Streusel topping over all the batter with the cinnamon filling. 13)Bake for 10 minutes at 375℉, then reduce the oven temperature to 350℉ and bake an additional 40-45 minutes. When done the cake will spring back when gently pressed in the middle. 14)Allow the cake to cool 10 minutes before running a knife around the edges and removing from the pan. Allow to cool another 10 minutes before serving or cutting. If you did not use parchment paper you can cool the cake in and serve the cake directly from the pan. 15)The cake will stay fresh and moist for about 3 days. Freeze pieces and then thaw about ½ and hour at room temperature for longer storage. 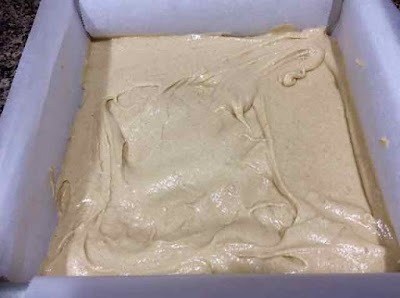 The original wheat recipe stated that you can prepare the cake and refrigerate the RAW cake (covered in plastic wrap) overnight and then bake it the next day. The chilled batter might need about 5 additional minutes of baking. I have not yet tried this make ahead method so I can not say how it will work with a GF cake. 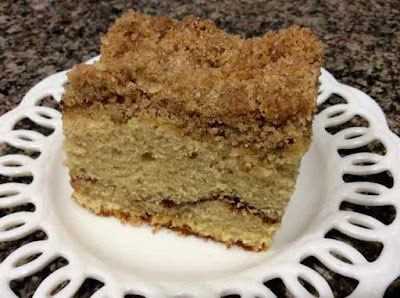 GLUTEN FREE CINNAMON-STREUSEL COFFEECAKE Makes one 9 x 9” square cake INGREDIENTS Streusel Topping ½ cup Sugar ⅛ tsp. Salt ¼ cup Sorghum Flour 2 Tbs. Tapioca Flour 1 Tbs. Chickpea Flour 1 Tbs. Coconut Flour 4 Tbs./2 oz. Unsalted Butter - Melted ⅛ tsp. 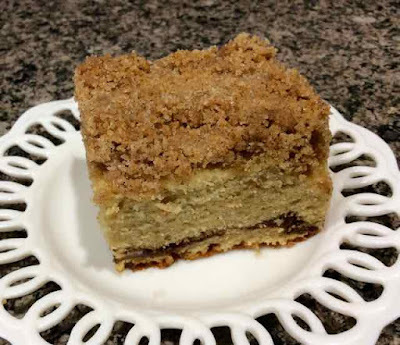 Xanthan Gum 1 ½ tsp Cinnamon Filling 2 ½ Tbs./34 g Brown Sugar - packed 1 ¾ tsp. 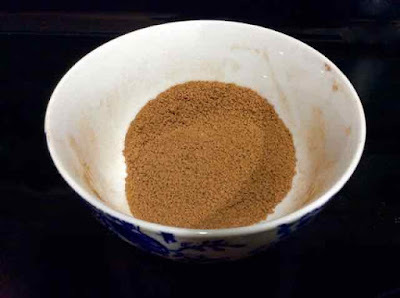 Cinnamon ½ tsp. Cocoa Powder (optional - for color only) Cake 6 Tbs./85 g Unsalted Butter ½ tsp. Salt ½ cup/149 g Sugar 2 ½ Tbs./35 g Brown Sugar 1 ½ tsp. Baking Powder 1 tsp. Vanilla Extract 2 large Eggs 6 Tbs./85 g Sour Cream (or Plain Yogurt) ½ cup + 2 Tbs./142g Milk 1 cup + 2 Tbs. Sorghum Flour ½ cup Tapioca Flour 2 Tbs. Chickpea Flour 2 Tbs. Coconut Flour ¾ tsp. Xanthan Gum DIRECTIONS 1) Preheat oven to 375℉. 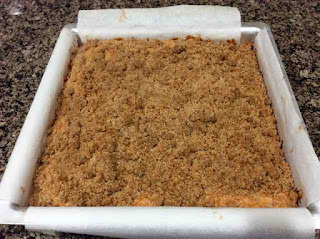 Prepare a 9 x 9” square baking pan by lining it with parchment paper. (You can also use a 9” round pan and line the bottom with parchment paper.) If you do not have parchment paper just grease the pan. 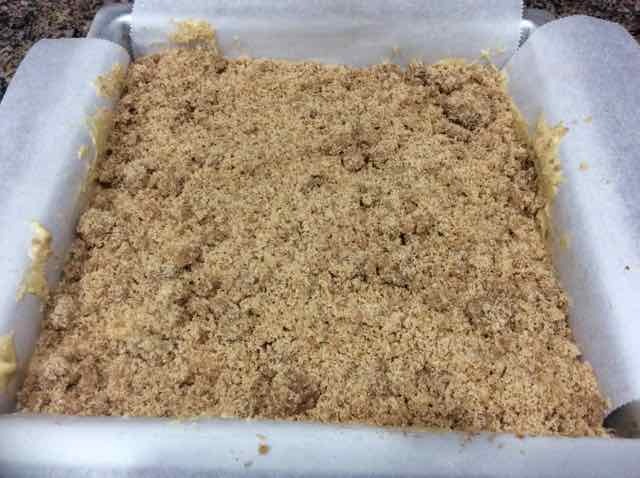 2) Make the Streusel Topping by mixing together the sugar, salt, flours and cinnamon. Add the melted butter and stir until well combined. Set aside. 3) Make the filling by adding all of the ingredients and mixing together well. Set aside. 4) Then make the cake. In a large bowl or the bowl of a stand mixer add the butter, salt, sugars, baking powder and vanilla. Beat together until well combined and smooth. 5) Add the eggs, one at a time, beating well after each addition. 6) In a separate bowl mix the flours and xanthan gum and set aside. 7) In a separate bowl mix the milk and sour cream and set aside. 8) Add half of the flour mixture and beat well, then add half of the milk mixture and blend in well. Repeat with the remaining flour and milk mixtures. 9) Pour half of the batter into the prepared pan. 10) Sprinkle the filling gently over the batter. Using a knife swirl the filling through the batter. 11) Top with the remaining batter. 12) Sprinkle the topping over the top of the batter. 13) Bake for 10 minutes at 375℉, then reduce the oven temperature to 350℉ and bake an additional 40-45 minutes. When done the cake will spring back when gently pressed in the middle. 14) Allow the cake to cool 10 minutes before running a knife around the edges and removing from the pan. Allow to cool another 10 minutes before serving or cutting. If you did not use parchment paper you can cool the cake in and serve the cake directly from the pan. 15) The cake will stay fresh and moist for about 3 days. Freeze pieces and then thaw about ½ and hour at room temperature for longer storage. The original wheat recipe stated that you can prepare the cake and refrigerate the RAW cake (covered in plastic wrap) overnight and then bake it the next day. The chilled batter might need about 5 additional minutes of baking. I have not yet tried this make ahead method so I cannot say how it will work with a GF cake.